Without question, the general condition of the prospective mother has much to do with her ability to conceive. In this regard age has been cited as one of the causes of infertility and yet many relatively old women have been able to conceive while many very young women have not. We need to look at the controlling elements of the body in order to establish the causes of any health problem including infertility. 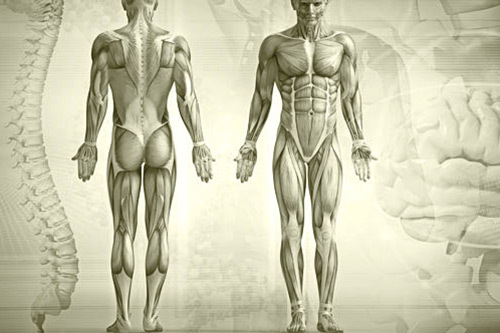 The body is controlled by two systems only; the nerve system and the endocrine system. The nerve system ultimately controls the endocrine system because it determines, via a blood supply, the amount of raw materials reaching the various glands. These glands include the adrenals which make estrogen and the ovaries which make progesterone. Without these hormones being produced in balance, it is unlikely that ovulation will take place. Without ovulation conception cannot happen. Disturbance in the structure of the spine caused by accidents sprains and strains places pressure on the spinal cord, spinal nerves and vertebral arteries and interferes with the transmission of normal nerve impulses resulting in less than optimal health. I have found that by removing interference from the nerve supply to the blood supply of the ovaries results in enough progesterone being produced to facilitate ovulation. Polycystic ovarian syndrome, also associated with infertility, responds well to the chiropractic adjustment. In this regard, please visit www.chirokzn.co.za and read the Rizwana Bassaletter and the Dr. Kogie Parthab letter and watch her video clip. Hers was a typical textbook case; bad skin, bipolar mood swings and carrying too much weight not to mention not being able to conceive. Her problem she was told was polycystic ovarian syndrome. However her list of other symptoms included: Pruritis, Sinusitis, Acid reflux, under active Thyroid, high cholesterol, hormonal imbalance, restless leg syndrome, chronic fatigue syndrome, Diabetes and low blood pressure. She was so sick that she was boarded. Under chiropractic care she regained her health. Under chiropractic care she is now employed again. Last but not least, under chiropractic care she was able to conceive and have a healthy baby. In spite of the advice given by Hippocrates, the Father of Medicine, the world at large is kept ignorant of the importance of spinal hygiene. In fact the enemies of true health will do their best to create fear in the minds of anyone wanting to consult a chiropractic doctor. Because of this cultivated ignorance, courtesy of the pharmaceutical industry, people are made to believe that the only way to have health is to buy it over the counter; the exact opposite of what Hippocrates the father of medicine told us. He said “In case of illness look first to the spine” which is exactly what the chiropractor is doing “and not to medicaments” which is what the other guys are doing. Few if any people know that the doctor of chiropractic is well versed in the subjects of anatomy and physiology including gynecology and obstetrics and moreover understands the relationship of a healthy spine and nerve system to a healthy reproductive system. Nerve interference caused by misaligned vertebrae in the lower back, some so slight as to be quite painless, can cause health problems anywhere in the body including the uterus; problems such as endometriosis. Conception is the first step along the road to having your baby and falling pregnant is a good place to start. However staying pregnant is another area of concern worth mentioning. I believe that miscarriages are often precipitated by the placenta not being able to nourish the developing fetus beyond a certain period of time. Again I will point a finger at a poor blood supply caused by a poor nerve supply caused by a pinched or irritated nerve from the L3/L4 area of the spine. Space does not permit an in depth explanation of how important a properly aligned spine is to optimizing and maximizing an individual’s health. However, for those who wish to question what is written here, they should Google ‘spinal animal’. This is an animal that has had its brain removed while it is still alive showing that it still has bowel function, bladder function and many more thus showing that the spinal cord and not the brain is the primary controlling element for the functions of the body. This endorses the sentiments of Hippocrates because without a spine in proper alignment the spinal cord and spinal nerves cannot be free and transmit normal impulses. The spine comprises 24 movable segments, each of which is like a switch on the DV board in your kitchen. The top one is the Atlas or C/1 and can be likened to the big green ‘mains’ switch. This is a most potent area for producing improved health. Patients often remark that they feel an immediate ‘lightness’ after their adjustment. It must be remembered that each vertebra relates to a specific area in the body and recognition must be given to the correlation between muscles, organs and the spinal cord which is why specific adjusting of offending vertebrae produces such gratifying results. Is it not better to treat the cause than only the symptom? If you look at the ‘Interactive spine’ on my website, much will be found to support what is written here. In truth you are your own best doctor. In truth, what the chiropractor does is remove interference from the amazing master control system and allow your ‘doctor within’ a better chance of functioning normally and that includes having children. Sadly the enemies of true health have done a good job in frightening the public at large with their lies thus denying them the opportunity to explore the non-invasive and cost-effective methods of healing used by the doctor of chiropractic. One only has to do a comparison study on malpractice insurance to see who the wolf in the sheep’s clothing is and who is the false prophet. It is all about competition; wealth not health. In closing I would like to use a quote from the movie “The Matrix”.